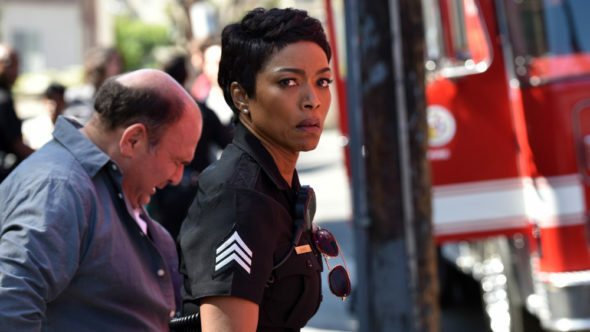 9-1-1 is nearing the end of its first season, so what’s next? Recently, co-creator Ryan Murphy spoke with Deadline about the future of the FOX TV show. The drama centers on the police officers, firefighters, and paramedics who risk their lives to save others. The cast includes Angela Bassett, Connie Britton, Peter Krause, Oliver Stark, Aisha Hinds, Kenneth Choi, and Rockmond Dunbar. The season one finale of 9-1-1 airs tonight, March 21st, at 9 p.m. ET/PT. What do you think? Do you watch 9-1-1? Will you watch season two? Outstanding show! Was so happy to hear coming back for another season. Don’t rush the spinoff. We are just getting to know the characters and loving them. Please please have Connie come back! I have missed seeing her since I didn’t watch Nashville. Can’t wait! Bring on season 2 and many more to come. It’s OK but seems to be trying to facsimile Greys Anatomy, which is playing is safe. I can’t help but think that Shonda is out of original ideas. Very good show, my wife and I love it. Yes definitely bring that back for a few more seasons. We love the show. Glad to hear it will be back Never fails to entertain.